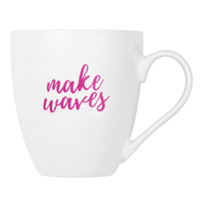 Beachwaver Co. is giving away free Make Waves coffee mugs. Follow our link, click Signup button and then supply them with your shipping details and they will send it to you. Click GET FREEBIE button and then signup for a chance to receive this coffee mug for free.